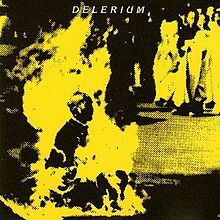 Delerium’s biggest change of course came in the mid-90’s, with a leap away from pure instrumental soundscapes and toward heavenly vocals. It’s the sort of move that prompts cries of ‘sellout,’ but it was so well executed I don’t remember anybody complaining much. The group tested the vocal direction on Semantic Spaces (1994), and committed fully with Karma (1997). Karma I consider one of the best electronic albums to arise out of the 90’s. Bill Leeb and Rhys Fulber masterfully compose a deep and rich soundscape, steep it in world music elements, and weave in vocal tracks from several well chosen guest singers. Although it contains songs, the overall feeling I get of Karma is of a musically-driven album, rather than a song-oriented album. Everything blends together so well and the momentum keeps up from track to track. Each track contributes to the whole. It’s such a joy to listen to and immerse in, I go back to it time and time again, and find the magic is always there. This is an album I recommend to just about anybody. But enough about Karma. 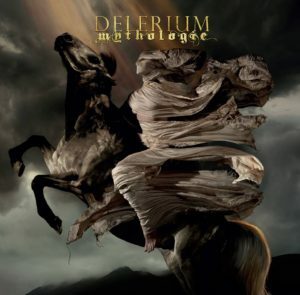 Delerium’s career since then has also been fruitful, if less celebrated. A series of increasingly pop-oriented releases have brought their moments but divided fans, many of whom are still clinging to the old days. The group may have hit a low point with their 2012 release Music Box Opera. The album suffered from lack of direction, lack of cohesiveness, and frankly bad choice of songs. It slipped by largely unnoticed. The cover art paints quite a dramatic picture, but it turns out to be misleading here. Far from evoking the stormy image above, Mythologie is a mellow and pleasant release. The best I can describe this music would be a contemporary sounding, pure electronic, ethereal chillout pop. This would fit comfortably next to anything from Austra to Lorde to Zero 7. This isn’t New Age music anymore. There’s no sign of chanting monks, exotic instruments or Middle Eastern vocals. All that old cultural appropriation is apparently out of style now. The guest vocalists are mostly new, and well selected. A whopping four tracks, or a third of the album, features vocalist Mimi Page. I feel with this selection, they have nearly guaranteed success. Listening through Mimi Page’s solo recordings, I find her songs carry such an ethereal beauty, they don’t need much in the way of additional production. Excellent discovery of an upcoming singer/songwriter. EDM singer JES contributes two of the highest energy tracks, and Phildel brings the chill on two tracks. Delerium regular Jael shows up for one song, but Kristy Thirsk and other favorites from the past are nowhere to be found this time. The album is quite cohesive. The artists decided what kind of sound they want and maintain it for the length of the album. The songs are high quality. As we saw on the previous album, no matter how strong the musical production, if the song is weak it will fall flat. There is one track toward the end that threatens to plunge into soulful R&B territory, bringing back bad memories of the past. Of course as usual with Leeb/Fulber recordings, the most impressive aspect is the level of production. They have a way of making other electronic musicians seem like amateurs, and this fine tradition continues on Mythologie. Listen deeply. 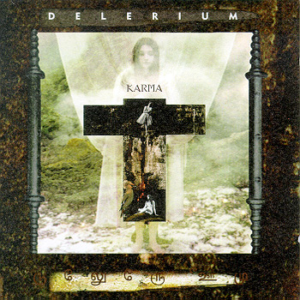 In summary Delerium’s Mythologie may be far from Karma, but it’s an appealing record on its own terms. It is a good musical direction for the group at this stage. It’s the best from them for at least ten years. I once read an interview with Bill Leeb where he talked about the difference between Front Line Assembly and Delerium. He explained it in terms of energy: FLA drains you of energy, and Delerium gives you energy. I think this best explains what Delerium means to me. While I rarely feel the need to dust off FLA anymore, the amount of positive energy Delerium has fed me over the years is beyond measure. As a final note, Delerium is obviously a studio-oriented project. There have been just two Delerium live tours that I’m aware of. I was able to attend the first one in 2003, and I have to state the occasion ranks among my favorite concerts of all time. Although times change and it wouldn’t be the same, my best hope would be for a new release to generate enough interest that another tour becomes possible. I guarantee the people who experienced Delerium live would be interested in the return. For a journey through the past, here’s a playlist of the best of Delerium.